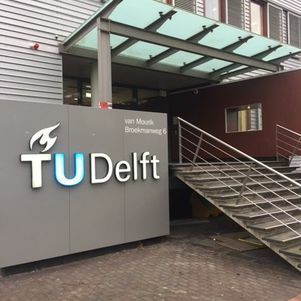 Welcome to the Algorithmics group, a section of the Department of Software Technology of the Faculty of Electrical Engineering, Mathematics and Computer Science at Delft University of Technology. In the Algorithmics group, we aim to design, and understand fundamental properties of, planning and coordination algorithms for intelligent decision making in real world applications, such as for predictive maintenance scheduling, coordinating electrical loads within network constraints, or logistic processes on a container terminal. Apart from dealing with the inherent scalability challenge in such combinatorial domains, we work on two main research objectives. First, we aim to understand how to build predictive models from data that facilitate effective planning and scheduling algorithms dealing with uncertainty, for example to find robust solutions. Our second research objective is to understand how to effectively incorporate behaviour and preferences of stakeholders in the decision-making process. Multi-party optimization: How to account for strategic behaviour in multi‐actor planning? We aim to apply these techniques in sectors such as logistics and transportation, energy, and maintenance. To realise these applications we pay attention to handling large amounts of available data as well as to the development of advanced algorithmic toolboxes based on generic methods and techniques. Our group holds a number of openings for MSc projects. Courses in fundamental computer science. Advanced algorithms and intelligent decision making courses. How to start your masters project at the Algorithmics group. A series of monthly meetups on Artificial Intelligence has been launched at TU Delft. First meetup will take place on December 13. More information is available via https://www.meetup.com/Delft-AI-Meetup/. The International Conference on Automated Planning and Scheduling (ICAPS) 2018 and the International Conference on Integration of AI and OR Techniques in Constraint Programming for Combinatorial Optimization Problems (CPAIOR) 2018 in Delft have been a great success. Thanks to everyone who helped us! Simon Mountakis defended his PhD thesis. Neil Yorke-Smith gave an invited talk at the STEP Conference 2018 on Citizenship in the Age of AI (news post at DDFV). Mathijs de Weerdt won the best poster award at ICT.OPEN 2018 with his work on Intention-Aware Routing for Electric Vehicles. PhD student Erwin Walraven released a software toolbox containing accelerated algorithms for solving Partially Observable Markov Decision Processes. PhD student Gleb Polevoy has become doctor of the week.